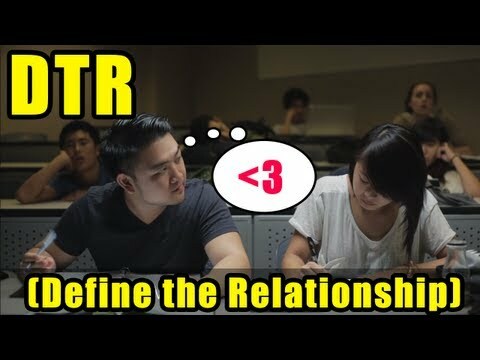 Rapper Jason Chu x singer Kevin Lien collaborate on the track and music video “DTR (Define the Relationship)” using the beats from Flo Rida’s “Whistle”. The song is for those who are friends with someone, but want to change that relationship be more than friends. The music video follows three friendships on the verge of changing. When you spend so much time together, you might develop a secret attraction and you start misinterpreting actions and kind gestures. DTR is the date before the date where you ask her on the date. It’s that heart-pounding one on one talk where you reveal your feelings. Sometimes things work out and other times they don’t. Dedicated to every awkward side hug, every late night at retreat, and every misinterpreted text message. Listen to more Jason Chu : Color Blind, R.I.P. (Pvt. Danny Chen) , Vincent Chin, and Payroll. This could be awkward, how can we approach it naturally? You’ve given her so many hugs from the side! Will you shake her hand – or give her a hug? Let the whole room know, there’s a gentleman here! Looks like she really didn’t expect you to say THAT. But then you told her: Wait! Can you pray about this? [Girl says:] I guess so? Why in the world did I think this was a good idea? You say you’ve prayed and we should talk, how bout we get coffee? I’ve been praying – we should talk. You want to get coffee? I’ll see you all next week – good luck. This entry was posted in music on November 30, 2012 by Kevin Hsieh - channel APA. Cindy had dropped their daughter off at school and headed to a convenience store to get a winning numbers report after hearing a winning ticket was sold in Missouri. She checked her tickets in the car and drove straight to her mother-in-law’s house to have her double-check the ticket. Then she called Mark, and he went to his mom’s house to see for himself. “You know it’s the Show Me State, so he said, ‘Show me,’” Cindy joked. Cindy bought the couple’s winning combination, along with four others. She let the computer quick pick the combinations on her ticket. “I was just telling my daughter the night before, ‘Honey, that probably never happens (people winning),’” she mused. The couple, who adopted a daughter from China five years ago, said they talked about adopting again since finding out about their win. They also plan to help family members, such as paying for college educations for their four granddaughters and their four nieces and nephews. Cindy said she and Mark haven’t had a lot of time to talk about their plans for the windfall, but since her daughter has never seen the beach, they plan to take her to one. She also wants a horse, so “in a couple years, I’d say yes.” Cindy also said Mark, 52, has talked about a red Camaro. “It’s really going to be nice to spend time – not have to work – and be able to take trips with our family,” she added. Cindy Hill worked as an office manager, but was laid off in June 2010 due to the loss of a grant. She said she then took a year off to spend time with their daughter and began looking for work recently when her daughter went to first grade. Mark Hill works as a mechanic for Hillshire Brands. This entry was posted in interview on November 30, 2012 by Kevin Hsieh - channel APA. In D-Trix‘s Dance Showdown Season 2 Episode 7, check out the hilarious bloopers, outtakes and never before seen footage from Dance Showdown Season 2! See your favorites goofing off including StilaBabe09, BrittaniLouiseTaylor, ScreenTeam, ExoticJess, Miss Hannah Minx, meghanrosette, Chester See, Chimneyswift11, ONLYUSEmeBLADE, Alphacat, Andrew Garcia, and PranksvsPrank’s Jesse along with dance partners Mike Song, Brinn Nicole, Lauren Froderman, and Anze Skrube. In Dance Showdown, 12 YouTube stars train and perform with 4 professional dancers in front of 3 celebrity judges and a global voting audience for the chance to win Dance Glory and $100,000! This entry was posted in dance on November 30, 2012 by Kevin Hsieh - channel APA. On last night’s Glee, Finn plans PSY’s “Gangnam Style” to be the centerpiece of New Directions’ performance. He needs the students to up their game to compete with the Warblers. Using elements from the original music video, New Directions takes the stage at Sectionals, Gangnam style! Plenty of screen time for the performance for Tina (played by Jenna Ushkowitz). The glee club’s high-energy “Gangnam Style” routine does indeed impress the audience – but ends on a tense note when Marley unexpectedly collapses onstage. You can get the song on . This entry was posted in dance, music, tv on November 30, 2012 by Kevin Hsieh - channel APA. Part Chinese singer Ne-Yo released the music video for his song “Forever Now” off his R.E.D. album. In the video, while he holds a press conference, he sees a woman that he once loved. When their eyes lock, a flood of memories returns to Ne-Yo. He experiences a flashback of their relationship together from the rise and fall. Going through an emotional rollercoaster ride, he begs the woman to stay. When she doesn’t, he world comes crashing down and he doesn’t know what to do. You can get the single on or amazon. 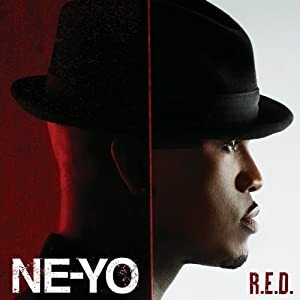 Listen to more Ne-Yo : Turn Around, Let Me Love You (Until You Learn To Love Yourself), Lazy Love, Burnin’ Up, Leave You Alone, The Way You Move, One in a Million, Champagne Life and Beautiful Monster. Styles Stinch released their music video “Summer Love” back in the summer, but the video is getting a second life after being featured on the K-Town Reality Show Season 2. They blend up some hip hop and R&B for a kickback track about their summer loves. The music video follows the guys as they have a day of fun with their women. From the beach to the arcades, you can feel that chill vibe flowing. Bring back that old school lovin’. It’s a fun single that bring back memories of summers past. Model Jenna Lane makes a cameo too. This entry was posted in music on November 29, 2012 by Kevin Hsieh - channel APA.